One of the abducted teens put up 'meaningful resistance' to kidnappers, reports news site Walla. Forensic findings on the body of one of the three teenage boys abducted and murdered on June 12 show that the boy put up “meaningful resistance” to his attackers, reported news site Walla on Tuesday, citing a source who was involved in the process of identifying the bodies of the teens. 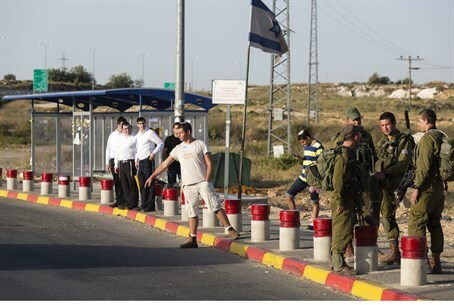 According to an IDF source, after the boys entered the abductors' vehicle at the Alon Shvut intersection at Gush Etzion, the vehicle traveled west, then made a U-turn toward Hevron. Shortly after, one of the boys called police, and shots were fired. The abductors apparently realized that police had been alerted and assumed that they would shortly be tracked down. They may therefore have decided on the spot to murder the boys and get away as fast as they could. They had no way of knowing that the emergency call had been mishandled by police, and that the search for the boys would not begin until eight hours later. On Friday morning, the car involved in the abduction was found near the Palestinian Arab settlement of Dura, along with a rifle and ammunition casings.